Bake 8 to 9 minutes or until edges begin to brown. Remove from oven; firmly press 1 candy into centre of each cookie until flush with cookie top. Top each with 3 marshmallows. Bake 2 to 4 minutes longer or until marshmallows are puffed. Cool 30 minutes. Loosen edges of cookie with small metal spatula and remove to cooling racks. Cool completely. 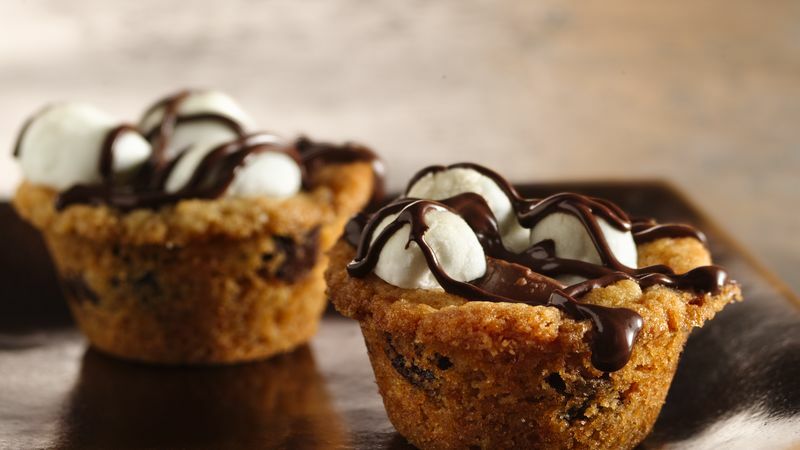 Need to make a sweet treat for a bake sale? These would be a hit! These cookies are heavenly warm, but are delicious when cooled too.